I made this for tea on Friday – it has to be said that swiss chard is not one of my husband’s favourite vegetables but after he had polished off a second helping he said I could make it again! I cheated and used ready-made and ready rolled pastry! It is from the Riverford Farm cook book. Roll out the pastry on a lightly floured surface and place on a baking sheet, prick with a fork in several places and chill for 15 minutes (it doesn’t need to be a uniform shape). Place in a pre-heated oven 200°C/gas mark 6 and bake for 10-15 minutes, until golden brown. Once the pastry is rolled out you can start to prepare the topping. Heat the butter in a pan, add the onions and thyme and cook gently for about 10 minutes until soft but not coloured. 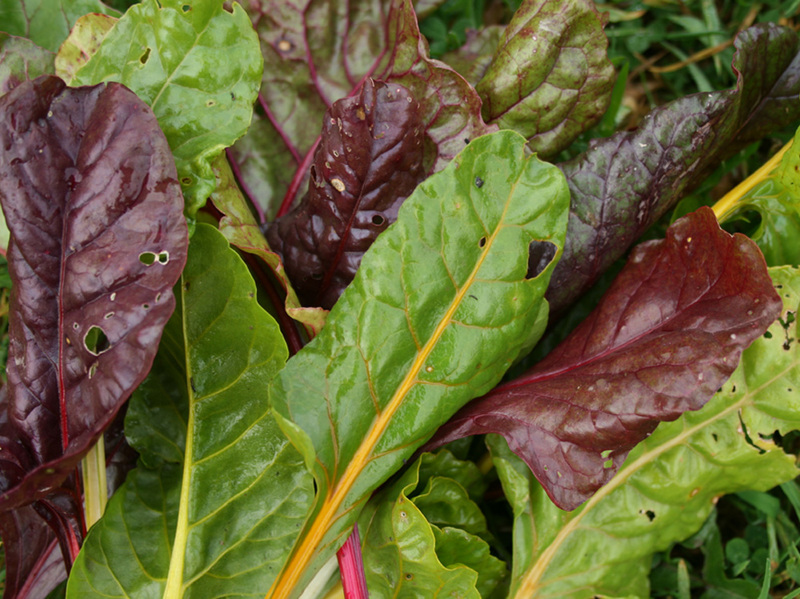 Meanwhile, separate the chard stalks from the leaves and chop both leaves and stalks roughly, keeping them separate. Add the stalks to a pan of boiling water and cook for 2-3 minutes, until tender. Remove the stalks with a slotted spoon and set aside. Add the leaves to the boiling water and blanch briefly. drain well, refresh under a cold tap and then squeeze to remove as much water as possible. ( I actually cooked the chard stalks with the onions and wilted the leaves in the microwave.) Add the chard stalks and leaves to the onions and reheat gently. Season to taste and mix well. Spread the mixture over the pastry base and sprinkle with the chopped olives, parmesan and a few blobs of creme fraiche. Bake in the oven 190°C/gasmark 5 for about 15 minutes, until lightly browned.